Respected developers , as you may have noticed as well that many players are leaving or quitting the game day by day , and the servers are just getting lonely. In server 700 xerses (HKT) , we harldly have 6 -7 active pllayers. Please i suggest u may think about merging the servers , i see that you wanna create new servers to let others to be the strongest of a single server but this is getting more annoying. Most of the players from our server who even used to spend 100s of $ left the game because of lag and error in fightings or battles. As you can see , even in twilight clash we hardly have one opponent or either no opponent and the guild as well have only like 2 - 3 players , and our guild Conquerors is the most powerful guild in our server as almost all top 10 players are in the guild. 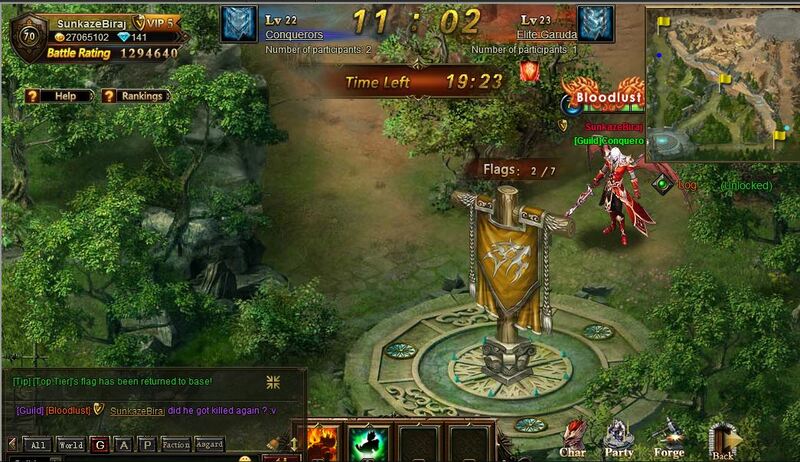 Due to which it may have discouraged other weak players or newbie players. Please rethink of merging the servers. Thank you ! I second and third this idea, being from an even newer server (s875) we have lost 1/3 of the players already. The money spent is useless when there is no actual competition, making the game no better than a farmville game. I have seen many similar games like this implement the merge system, yes, some will complain about the difference in older stronger servers but in the long run it keeps the game and the players active and allows actual goals of grabbing the top positions open. I dont mean take a server that is 8 minths old vs a 2 month old server and merge but doing it in smaller closer leveled servers say 5-7 servers around the same amount of playing time and merging them. Without merges you lose players and cashers and cashers that have put so much effort and money into their chars are typically not going to sink money into another char on a newer server to start all over. 2019-4-19 07:07 GMT+8 , Processed in 0.042116 second(s), 36 queries .